Musician Julieta Venegas opens the song “Mirame Bien” by telling her lover that they need to start again—to fall in love like it’s the very first time. The song’s title, which Venegas sings in the chorus, roughly translates to “look at me closely” or “take a good look at me,” and it serves as the theme of an exhibition of the same name currently on view at Charlie James Gallery featuring the work of Valerie J. Bower, texas isaiah, Arlene Mejorado, Desilu Muñoz, Julio Salgado, and Martín Sorrondeguy. Curator Rudy “Bleu” Garcia organized Mirame Bien in conjunction with L.A.-based artist Shizu Saldamando’s solo exhibition, which is currently up in the same space. That show, To Return, features Saldamando’s distinct portraits that capture people of color in the punk scene and other L.A. subcultures. Asking someone to take a good look at you implies that they should really look, not just passively see; in looking, they take the time to consider a person’s full identity rather than making casual assumptions based on a passing glance. The artists in the exhibition are POC and queer creators who often portray people in their own communities. In this instance, looking means seeing these communities through the lens of a person who understands them rather than through the lens of an outsider. Instead, Garcia wanted to present the work of up-and-coming artists who capture these communities in a genuine way. In the tradition of street photographers, the artists shoot scenes from everyday life. They elevate their subjects, but do so in a way that doesn’t make the subjects seem like strange beings to be admired from afar. And the photos take a focused, local angle. Any Angeleno who looks closely enough can recognize scenes from the many neighborhoods the photographers have called home. Through their lenses, they capture the energy of performers in Boyle Heights, late-night partygoers in downtown L.A., and smiling kids in the Inland Empire. The works in Mirame Bien capture the intimacy of POC communities in a way that feels immediate and recognizable. 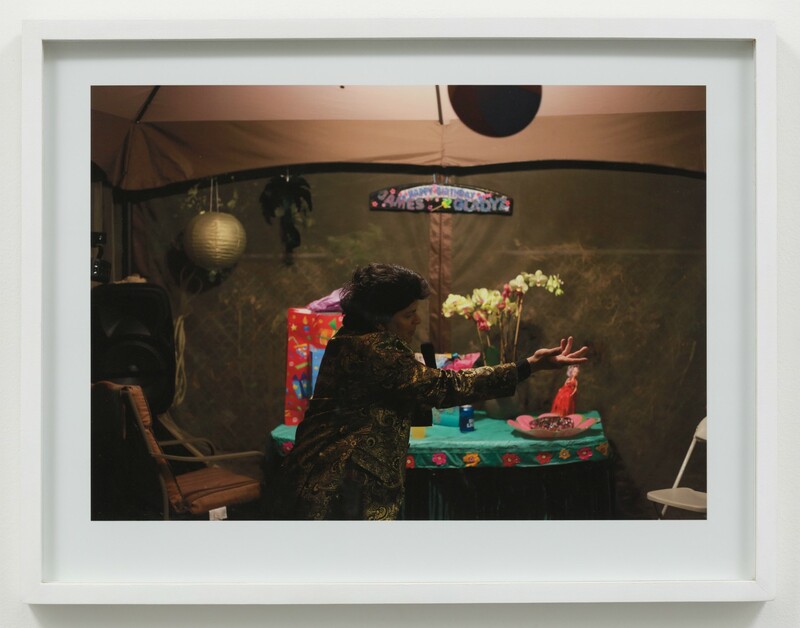 Garcia remembers he “instantly fell in love” with a Desilu Muñoz photograph of cluttered makeshift carport because it reminded him so much of his family’s backyard. 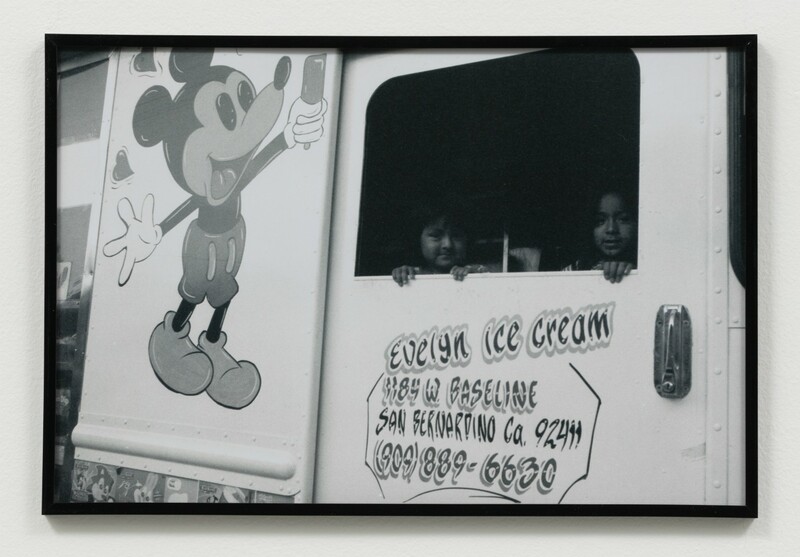 Muñoz’s other photos of scenes from her neighborhood can feel equally familiar to people who grew up in L.A.
“I’ve been in that moment and I felt like a lot of the audience that went to the show felt a lot of those same emotions as they walked through the show,” said Garcia. At the opening reception for the exhibition, local youth and established artists mingled with one another. For many artists whose work is on display in the show, Mirame Bien served as an important step for their person artistic journeys but also served to create visibility in a broader sense. Mirame Bien is on view until Sat., July 14, Charlie James Gallery, 969 Chung King Road, Chinatown. Next articleWhy Does Dodger Justin Turner Smear Dirt Across the Back of His Jersey?